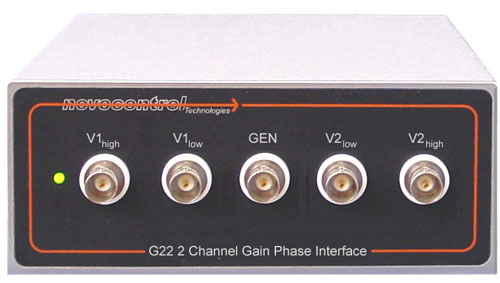 The G22 extension test interface for the Alpha-A modular measurement system features high quality general purpose frequency response or gain phase measurements. 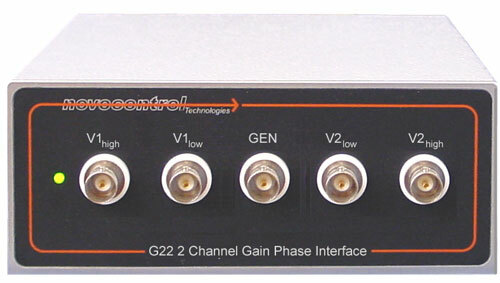 G22 measures the amplitudes and phase shift V1high-V1low and V2high-V2low of two voltage channels. It has similar functionality to a dual input channel lock-in amplifier with improved accuracy and extended frequency range. G22 can not be used for dielectric, conductivity or impedance measurements.